Enjoy an incredible boat tour with Dancer Cruise Cancun. 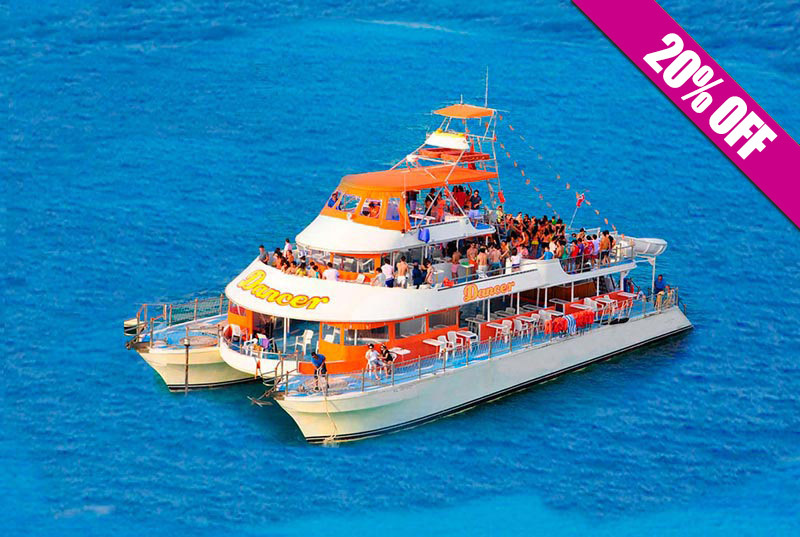 Dancer Cruise is a 3 floored booze cruise which offers you the chance to snorkel on a beautiful reef, explore "El Meco" mayan ruins and spend some free time on Isla Mujeres. As every booze cruise, Dancer Cancun includes MC, entertainment, open bar and buffet meal. The party has begun, are you coming? 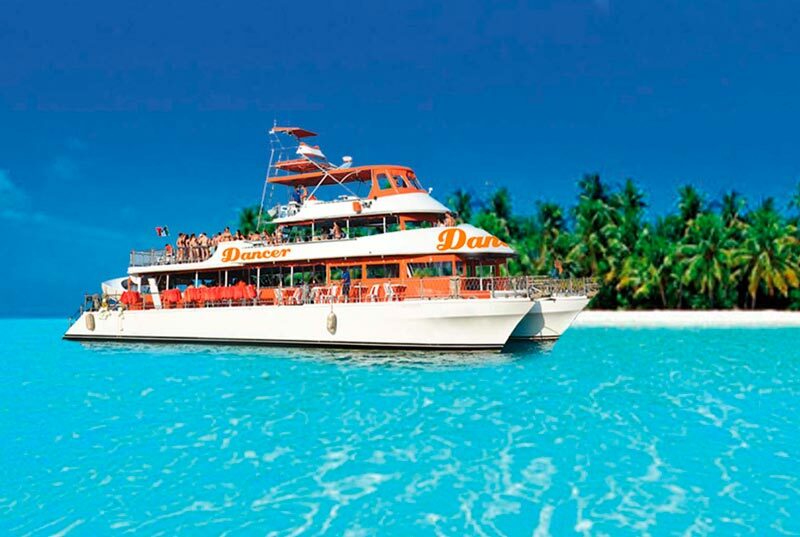 Dancer Catamaran is an amazing all inclusive tour to Isla Mujeres. 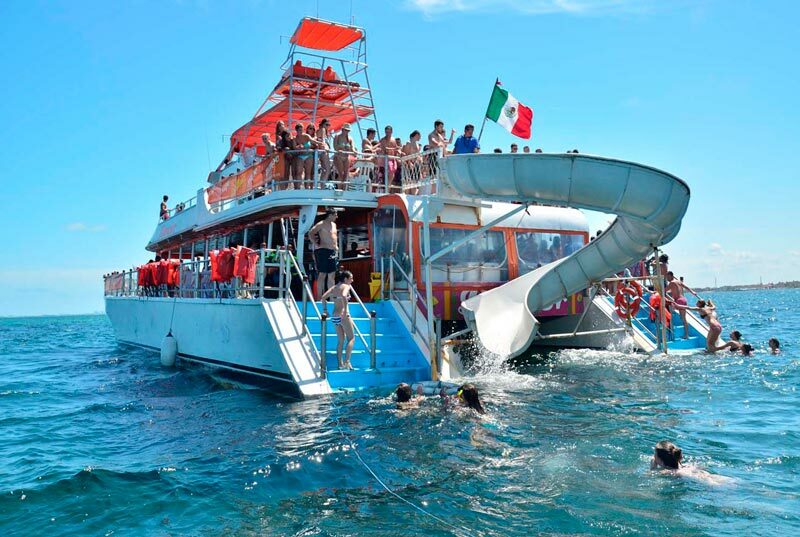 Enjoy a fun ride with snorkeling (1 hour), salsa dancing lessons, trampoline and waterslide on board and free time on Isla Mujeres (+2 hours). 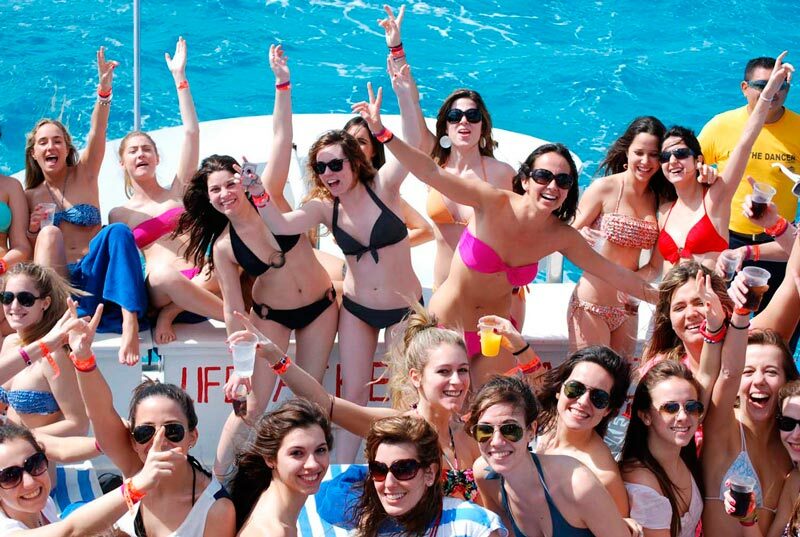 A great boat trip with music, entertainment, buffet meal and open bar on board. That's not it, Dancer cruise offers a free Golf Kart ride in Isla Mujeres. Take this great chance, book now! Open bar: rum, tequila, vodka, beer, cocktails, soft drinks and continental juices. Continental Breakfast: pastries, juices and coffee. Food on board: (arrachera fajitas, chicken fajitas, salad, rice, guacamole prepared by our chef at the time). Trampoline, water slide, bunks and spacious bathrooms aboard. Guided tour on Golf Karts. Free time on Isla Mujeres. Dock fee is not included ($12.00 USD per person, to be paid on check-in). Please plan to arrive 30 minutes before to check in. Driver's license required to drive Golf Kart.